We supply and wholesale a wide range of products such as fabric blackout & sheer, curtain, blinds, curtain rod & railing, wallpaper, wall mural and curtain & window accessories. 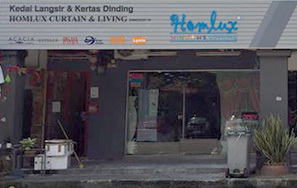 Homlux Windows Covering Sdn Bhd undertakes corporate offices design & contract work, residential and commercial projects, hotel & club house projects, developers show units and many others interior works. Homlux Windows Covering Sdn Bhd is an excellent one-stop resource hub to help you realise your dream of an interior masterpiece.